Fire Note Says: Game Day is a fine current day collection of songs from Peter Holsapple, a welcome continuation of his long and storied career with the dB’s, a testament to the value of keeping on keeping on. Album Review: Peter Holsapple has had a long and prestigious career, writing and playing a supportive role with celebrated alternative rockers and independent acts since his early breakout with Chris Stamey and their influential 80’s band the dB’s. Although they formed the dB’s in NYC, the band’s roots were in the South, their home-town was Winston-Salem North Caronlina, coming up with early R.E.M. and Let’s Active, in fact Holsapple, Stamey and Mitch Easter were in the band Rittenhouse, and released an indie album in 1972. Following the dB’s breakup in ’88, Holsapple played a support musician role on R.E.M.’s “Green” tour and participated in the sessions that led up to “Out of Time,” then moved on to a similar supportive role for Hootie & the Blowfish. In the 90’s and early 00’s, Holsapple was associated with the Continental Drifters, an indie rock supergroup that included Mark Walton (Dream Syndicate), Vicki Peterson (Bangles), Russ Brousard, Gary Eaton, Ray Ganucheau, and ex-wife Susan Cowsell. Over the years, Holsapple has released a solo project, a couple duo album with Stamey, and a couple dB’s reunion releases, so this is his second solo album. On Game Day, Peter Holsapple plays all of the instruments and sings lead, and in the opening song of that name he asks a crucial rhetorical question: “do I still have what it takes to pull this off?” As a fan going all the way back to the jangly guitar rock and power pop that marks the best of the dB’s (google “Think Too Hard,” and try to tell me that’s not a perfect pop hook), it’s great to hear Holsapple, older and more mature for sure, create songs with similar energy and great hooks. Simply put he still has what it takes. “Continental Drifters,” which features Cowsell on harmony vocal, recalls those years making music with “no finer bunch of friends, while “In Too Deep” is a rocker locked down by a familiar guitar riff. Holsapple admits in the disc’s one liner note that “it’s almost impossible to come up with anything totally original. So I haven’t. But I had a lot of fun making Game Day, and I hope it comes through.” Well, using the guitar solo there as a case in point, the artist achieves his goal. “I Got High With You” celebrates long-distance cyber relationships in a familiar old school 80’s new wave song format, “Tuff Day” another guitar based rocker, and “She Handed Him a Pencil,” a rocker that rides a strong bass line groove, are a couple that that leaves this listener wishing Holsapple had recorded at least some of these with a full band in the studio, he may be able to pull off the one man band thing, but these two feel like they would have been better served by the full band approach. The folkier acoustic songs, like “The Better Man” and “Yelling At Clouds,” which leans in the direction of a Pogues-like Irish folk song, fare far better. “Not Right Now,” which includes a trombone part by Holsapple’s son, Webb, and “The Smartest Thing I’ve Ever Done,” close out the album’s thirteen songs proper, find the songwriter in a reflective mood, considering all that has gone on before, but willing to “get over it,” and willing to “live and learn, giving back in ways I could, and sometimes that sounds pretty good to me.” It’s a joy to watch an artist stretch, grow and look back over their long and fruitful career, and I admit, it also sounds pretty good to me. The CD bonus track no. 14 is Holsapple’s cover of Buddy Miles’ “Them Changes,” which was lifted famous guitar hook and all from the New York Rock Ensembles’ song “Sing Lady Sing.” Holsapple adapts the Miles’ version including his own take on the hot guitar solo, and then tacks on a bit of the NY Rock Ensembles lyrics toward the end. 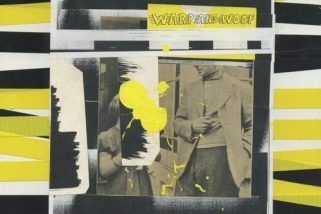 The super bonus tracks, “Don’t Mention The War” and “Cinderella Style,” which is an anti-war anthem that Holsapple recorded with studio players and released as a 7 inch vinyl single early last year. 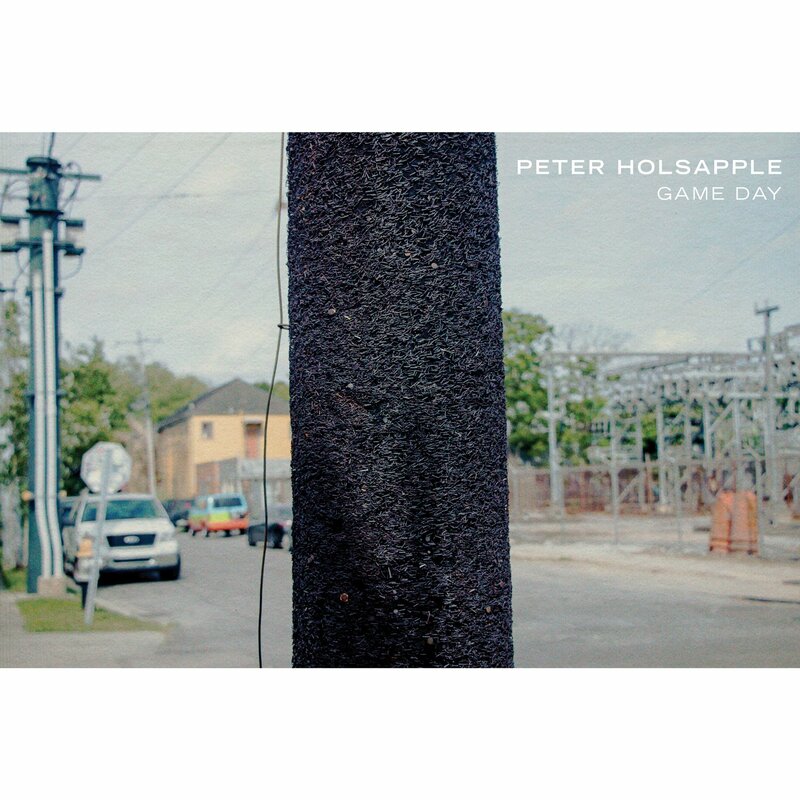 Game Day is a fine current day collection of songs from Peter Holsapple, a welcome continuation of his long and storied career, from the dB’s, through work with R.E.M. and Hootie, and the Continental Drifter years, a testament to the value of keeping on keeping on.